May in the Lake District is something that you really need to see. The days are getting longer with more sunshine to showcase the spectacular fells. The Easter rush has passed and the summer influx is yet to come. Historically, May is also one of the driest months of the year in Cumbria. And whilst the host of golden daffodils might have past their bedtime, there are glorious carpets of bluebells and white blossoms springing up all around the area. In the far corner the Lake District, a patchwork of enchanting lakes, picturesque valleys and striking woodlands make up one of the most spectacular areas of the national park. To top it all off, the Western Lakes isn’t characterised by the hustle and bustle that can be found in towns like Kendal, Ambleside and Windermere – but is still as beautiful. You can explore the rugged land, charismatic towns and plentiful outdoor opportunities that are situated here at your own pace and in your own space. If you’re a native to the area or are visiting for the weekend, one thing that is not to be missed during May in the Lake District is a walk among the Rannderdale bluebells. 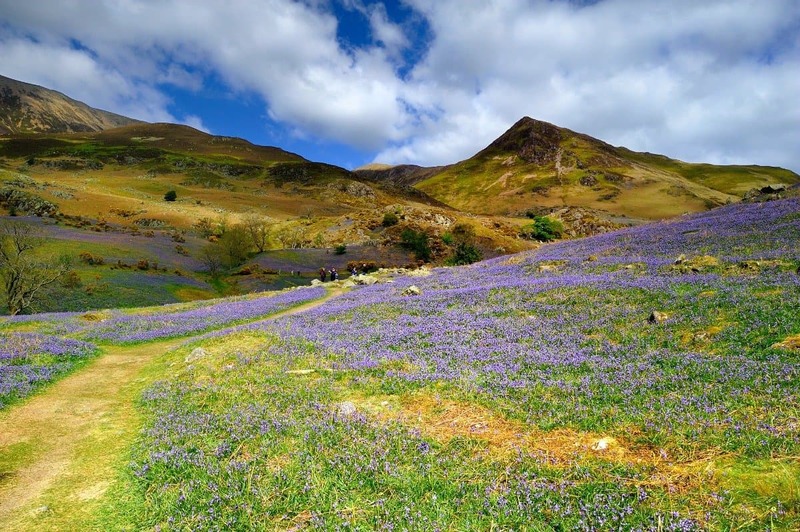 It’s hard to imaging the fells looking even more spectacular than they do already but trust us, when the striking purple of the blubells combine with a blue sky – there is nothing like it. The Trout Hotel is based in the heart of the Western Lakes, right next door to the childhood home of literary legend William Wordsworth. With our Insider’s Guide to the best festivals, attractions and things to do during May in the Lake District, you’ll be getting the best of both worlds – tranquillity and beauty. But don’t take our word for it, come see for yourselves. And remember, the best things in life are worth going that extra mile for. What’s on during May in the Lake District? 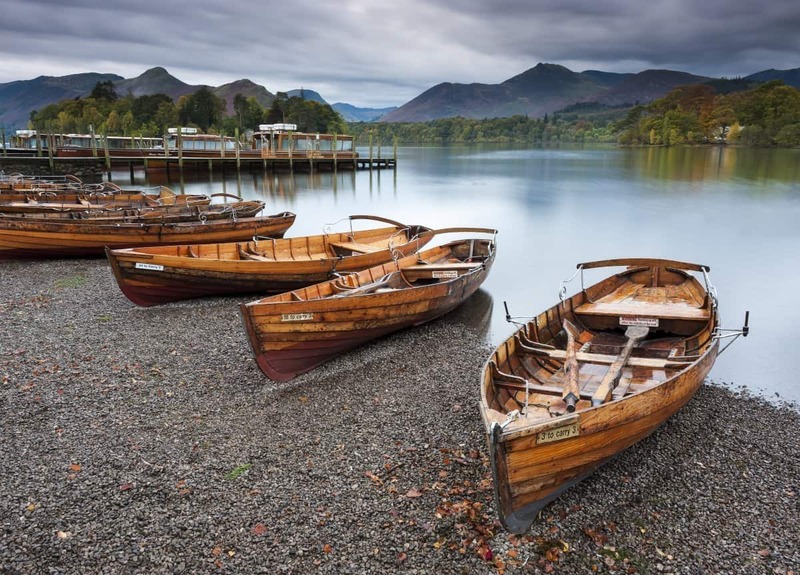 With the Lake District’s tourist season fully underway in May (the main season runs from April to the end of October), the local calendars are brimming with events. Whether you enjoy outdoor pursuits or something a little more laid back, the serenity of the Western Lake District will accommodate whatever you have in mind. The annual festival to celebrate all things Cumbrian is back for a third year. Offering the best local food, drinks, crafts and produce. Set on the beautiful grounds of Muncaster Castle, there will be celebrity chefs, cooking demos, competitions and celebrations in honour of the greatest sausage to ever grace our plates! The festival is a paradise for foodies and features local produce that we serve everyday at The Trout Hotel. With stalls from the Lakes Distillery, Savin Hill Farm and Butchery, Taste of the Lakes and Abbotts chocolates scattered along the half-mile 18th century grass terrace, you’ll certainly be spoilt for choice. There is also an owl centre within the gardens, if you really needed another reason to visit. The festival takes place over three days and is approximately 45 mins drive through beautiful countryside from The Trout Hotel. Entry is included in the standard entrance price. A visit to Force Crag Mine is a family day out that has a bit of everything – history, archaeology and an awesome setting. Accessible only by foot, bike or National Trust 4×4, it is one of the Lake District’s most quirky yet fascinating secrets and is nestled in the stunning Coledale Valley, near Keswick. It was the last mineral mine to be worked in the Lake District has been lovingly restored by volunteers. A guided tour allows you to explore the above-ground site and remains, that were functional until 1990, as if the miners had just left for the day. If you’d like a lift in National Trust transport, call ahead on 017687 74649 to book a time slot and make your way to Noble Knott car park on the day. If you’d like to make your own way there from the Trout Hotel, the grid reference is 198 216. Booking is advisable. This year’s festival will take listeners back to the origins of the jazz era. Jelly Roll Morton, Duke Ellington, Louis Armstrong’s classics will all be making an appearance as well as tunes from the glory days of traditional jazz in the UK. Unlike many festivals, the Keswick Jazz and Blues Festival takes place in numerous venues in and around the town for which a valid ticket gives access to them all. Pick your favourite style, entertainer or location and head over for some fun, no separate booking required, just mix and match as you see fit. Eating out with the family doesn’t have to break the bank, especially when there are exclusive offers like our Kids Eat For £1 up for grabs. 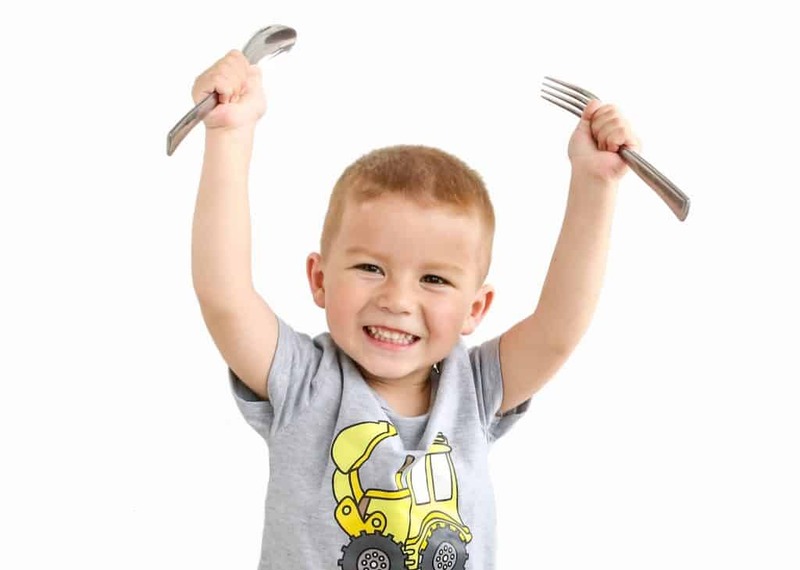 Each grown up ordering a main course from the Terrace Bistro menu can claim a child’s main course, dessert and drink from the children’s menu, all for just £1! Around six miles from the Trout Hotel, overlooked by the impending hights of Skiddaw, lies the thriving Lakes Distillery. And whether you’ve been here before or not, the mini festival on 19-20 May is not to be missed! There will be an on-site music and entertainment and a whisky themed gourmet BBQ menu, with the option of taking a tour around the distillery and viewing the rooms where the magic happens. Also offered is a behind-the-scenes Whisky Masterlass with master blender, Dhavall (£50pp). During this intimate session you’ll get a first-hand view of what it’s like to do Dhavall’s job and he’ll give some insight into what it takes to create a great whisky and what makes The Lakes Distillery different. Lakeland legend Alfred Wainwright described this fell as a “shaggy terrier amongst hounds”. Haystacks is shorter than its neighbours but the mile or so of summit plateau is a great mix of rocky outcrops, tranquil tarns and hidden hollows. It’s situated at the south-eastern end of the Buttermere Valley and was Wainwright’s favourite fell and the resting place of his ashes. This modest walk takes you over rough ground and is and is surrounded by a diverse and interesting range of peaks. Even though it is not as some of its neighbours, standing in at nearly 600m, it is not one to be thought of lightly either. However, as the elevation of the walk is not huge it is possible to add a bit more distance to make it a longer day if you wish. A great way of doing this would be to walk through the woods of Birkness and around the attractive and gentle shores of Buttermere. What to keep in mind before visiting? When doing any outdoor activity or attempting to summit a Lakeland fell during May in the Lake District, be sure to remember that the weather can change in the blink of an eye. It’s therefore a good idea to kit yourself out in suitable shoes, good waterproofs and carry enough water. A longer trek will require you to bring some high-energy snacks along for the ride too. If you’re going to be conquering Haystacks, a detailed OS map and a compass would be useful if you know how to use them. Always take a phone in case of emergencies but remember that signal can be scarce. Almost wherever you go in the Lake District, there will be some form of literary connection or interesting story to stir the imagination. With a bit of research beforehand, a stroll along the shores of Buttermere of a walk to the top of Haystacks might be made even more enjoyable in the knowledge that JMW Turner and John Ruskin absolutely loved to paint the area and that William Wordsworth was a regular visitor. Whatever your preference, May is a truly wonderful time to visit the area and experience the best of what the Lake District has to offer.